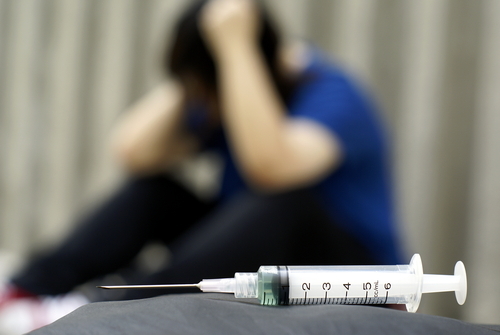 A report published today by the Substance Abuse and Mental Health Services Administration (SAMHSA) may help clinicians and health officials seeking explanations for a dramatic rise in heroin use over the last few years. SAMHSA researchers report that it appears to be linked to the rapid spread of yet another drug-abuse epidemic, that of prescription pain medications. Showing the extent of the heroin-addiction problem and its rapid spread, SAMHSA reported that approximately 373,000 people used heroin in 2007, while about 620,000 did so in 2011. Of these people, 179,000 were dependent on heroin in 2007 compared with 369,000 in 2011. For more information about the problem of prescription pain medication abuse, see the articles "Rule on Dispensing Buprenorphine Eased" and "Medication Shows Promise in Treating Opioid Painkiller Addiction" in Psychiatric News.